Limited editions of consoles often prove a real money-spinner. Not only does the vendor benefit, but the developer of the games to which the promotional bundles are usually attached often pocket a tidy sum, while the consumer also benefits from something quirky and unique. 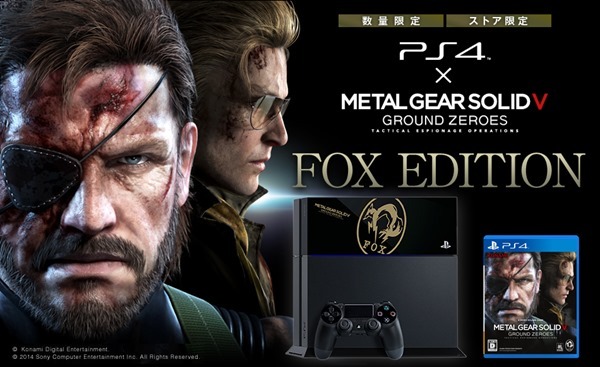 With the PS4 just about to launch in Japan, Sony has teamed up with Kojima Productions, the crew behind the also-upcoming Metal Gear Solid V: Ground Zeroes, to deliver a special Fox Edition of the fourth PlayStation console, but unfortunately, it’s not all that special. The Japanese are massively partisan when it comes to gaming machines, and even though the Xbox 360 is considered the winner of the previous-gen console wars, it was outsold many times over by the PlayStation 3 in Sony’s native land. But despite the immense popularity of the PS brand on home soil, the PS4 has still yet to launch, and if the Fox Edition was its maker’s way of redemption for the months of delay, it’s a fairly pitiful one, to be brutally honest. We’ve seen some great limited edition consoles over the years, where a clear amount of effort has been made to offer fans something to treasure. But whoever decided on the Fox Edition of the PlayStation 4 must have clocked off early, and recipients of this supposed treasure will probably be left feeling a little short-changed. Being the very first limited edition console on the market, and given that it’s aimed squarely at the Japanese market, you could have forgiven Sony for going above and beyond the call of duty in delivering something spectacular. Unfortunately, the only thing spectacular about the Fox Edition of the PlayStation 4 is the fact that Sony has the audacity to release it as such. 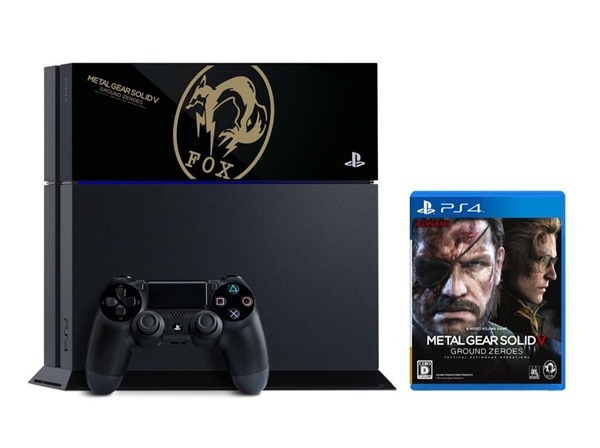 An underwhelming gold "Fox" sticker takes pride of place on the top half of the console when stood vertically, alongside a reference to Metal Gear Solid V: Ground Zeroes, and as you’ll see from the image, it’s not much to write home about. The game itself is bundled with the Fox Edition, which will retail for 46,980 yen (US$462), and since the base console costs 41,979 yen (US$413), the fact that games cost $50ish anyway renders the sticker worthless – in every sense of the word.